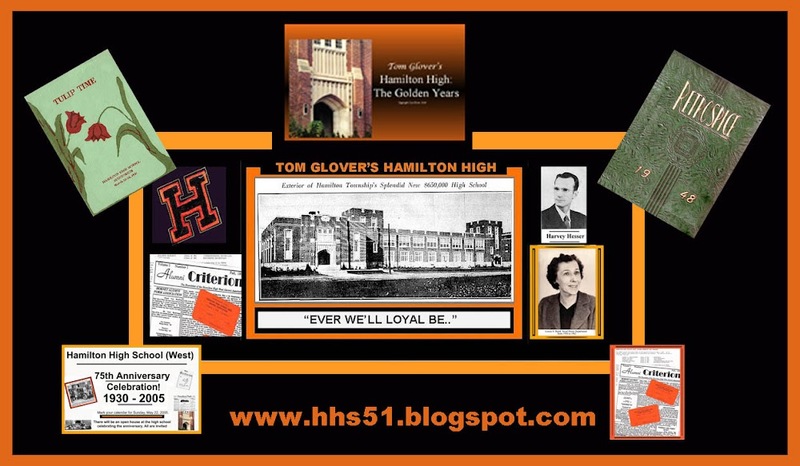 This, and the next graphic are souvenirs of the 75th anniversary celebration of the founding of Hamilton High School. Unfortunately, I had to stay in the history room wherein I had tons of HHS yearbooks and other memorabilia on display. There were 5 on-screen computer generated viewings of my multi-media program, "Hamilton High-The Golden Years." Carl Abbott, Helen Sadley and many other retired HHS personnel viewed the program and thoroughly enjoyed the 25 minute production. It will be shown again at Kuser Mansion in a future date to be announced. 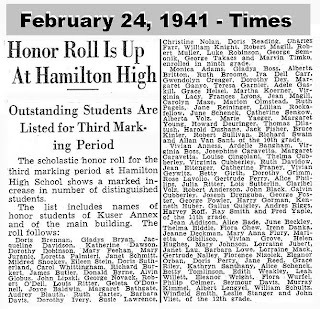 Many familiar names in the list of HHS students in the above graphic. 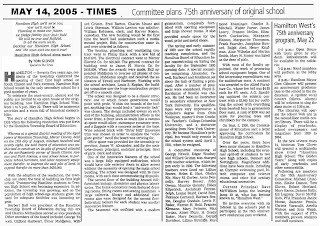 Kuser Annex, which was 9th grade for Kuser School area residents, is included in the list of honorees. I see a "Feehan" in there, and I just bet it is a relative of either Lorraine or Chet Feehan. To those HHS Hornets of the 30's through the early 60's, no identification would be required for the familiar face in the above photo. It wasn't until well after our high school graduation that my wife Judy and I got to know Harvey and his lovely wife Dorothy Hesser. 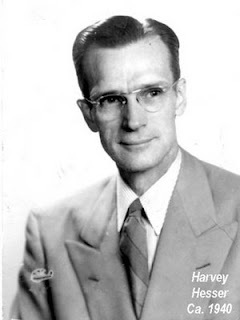 The Hessers moved to Gettysburg, Pennsylvania upon Harvey's retirement in the early 60's, but kept in touch. 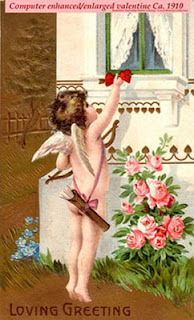 "What the world needs now is love, sweet love..not just for some, but for everyone..."